Map of the location of the office. Shuttle Transunion welcome you to Majorca! 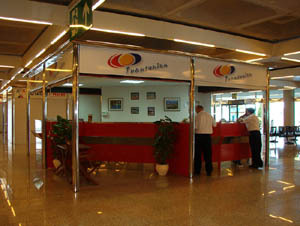 After you have picked up your luggage you have to go to our airport-office where your driver is waiting for you. The office is pointed out with a small star on the map. Our phone number is 971 902 593.